The TILE junket showroom, located in Geelong West Victoria is full of gorgeous tile and stone products – rivaling Melbourne and Sydney’s best designer product offerings. Owned locally by two brothers and with the help of a talented team, we welcome general public and industry customers alike. 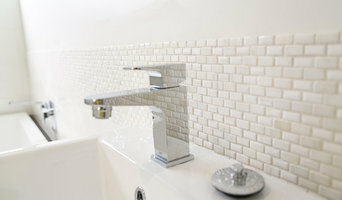 Amazing Tiles and Stones is an Australian owned and run company. We have fast become one of the major providers of all types of high quality tiles including porcelain, ceramic, mosaics, paving, and natural stone. Whether you have a commercial or residential project or even retail needs Amazing Tiles and Stones can supply the best quality tiles at the most competitive prices on the market. Our extensive range of products have been sourced from suppliers in Australia and overseas allowing us to provide not only any type or size tiles by all other by products that you may need to complete your project. With so much variety on offerour experienced staff are on hand to gladly offer a free consultation to ensure that you have the right products for your jobs. Feel free to enquire about free delivery for larger orders. Some of Australia’s leading building companies have sourced our products to complete some of the largest and most well-known projects such as Willow Park and Eureka Tower in Victoria. We pride ourselves on the excellent service we provide, affordable prices and high quality products. We have built our success on these qualities to ensure complete customer satisfaction. We welcome you to come visit us in our head office located at 616 Sunshine West 3020 or call us on (03) 93648149. Our opening hours are 8:00am – 4:00pm Monday to Friday (Closed all public holidays). Serving the Northern and Western suburbs of Melbourne Westile is the ultimate destination for all types of Tiles and Stone. From concept through to completion we strongly believe that our customer service and superior product range with virtually endless possibilities will ensure you vision for your home. Supplying builders, homeowners, architects, designers and renovators Westile is truly the Home of Inspired Design. Pure Design Projects is committed to provide the highest quality workmanship to our clients. We have the equipment, expertise and desire to meet all your requirements. We pride ourselves in all our work especially our custom edging which we believe gives our work that extra special finished look. All our completed projects are reflection of our commitment to excellent service and quality production. With thousands of countertops installed we have repeatedly proven to be an industry leader around Australia. Restoration If your stone is looking scratched, worn and lacking its original beauty then restoration is for you. Using the best products sourced from around the world, we are able to remove the signs of ageing and restore its former shine. The surfaces we are able to work on include but are not limited to: Floors & Walls Bench tops / Vanities Showers Stairs Fire places Statues Polishing If you're looking to improve your stone, a polish could be the answer. Our unique systems lift the appearance of the stone by returning its shine, without placing a coating on the surface. This process helps to remove small scratches and signs of wear. Caprici Pool Tiles is one of the leading swimming pool tile wholes distributors Australia wide.. We are specialist in requirements to any types of tiles for swimming pools. The tiles of Pool Tiles Carpici can be used on all projects from contemporary to Mediterranean, from retro to minimalist. Glass mosaic tile has always been the most versatile and elegant choice for pools. Custom made unique designs that make your project stand out are available here. Pool tiles Caprici is not only aesthetically appealing but are very functional as well. 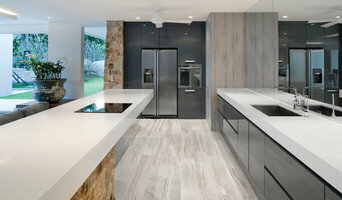 Importers of exclusive Italian Marble, Granite, Limestone, Basalt, Travertine Slabs and Tiles Stone Tile Source Pty Ltd is importer and distributor of Natural Stone slabs and tiles located at 39 Parer Road Airport West VIC. Our stones are imported from Italy, Turkey, Greece, China and India and we supply to domestic as well as commercial projects. Our team consists of people with over two decades of sourcing, importing and distribution experience of this industry. RMS Traders offers Travertine Tiles Melbourne with the great variety of colours as well as designs, and most manufacturers would be willing to customize any designs you need. 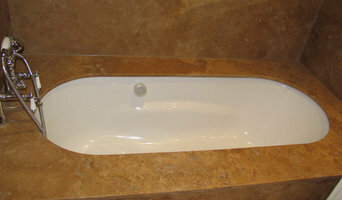 We supply high-quality natural stone floor tiles and the wide range of pavers and also stone cladding to fit any need. We also provide natural stone pavers for your pool surrounds, paths and steps as well as coping tiles in straight bullnose, rebated, and other profiles. AFH Tiling is a dedicated wall and floor tiling services working in all sectors namely professional, industrial, domestic in VIC. 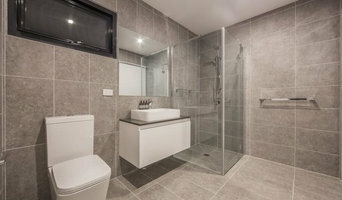 Many tile, stone and benchtop contractors in Geelong, Victoria work in tandem with plumbers in the bathroom. They can assist in a variety of common surfacing jobs, from installing shower pans to small grouting jobs. Furthermore, they can create and install murals, mosaics, and repair or replace any surfaces with chips, cracks or stains. Here are some related professionals and vendors to complement the work of tile, stone & benchtops: Interior Designers & Decorators, Architects, Building Project Managers, Kitchen & Bathroom Designers, Design & Construction Firms. Find Geelong, Victoria wall and floor tilers on Houzz. Look through Geelong, Victoria photos to find tile, stone and benchtop projects you like, then contact the contractor who worked on it. Browsing photos will also help you stay on top of the latest trends; subway tiles, for example, are trending in kitchen splashbacks, while stone and concrete benchtops are replacing tile or formica surfaces.